The bride tribe hangers. 💕 Start your day right with the perfect accessory for getting ready. 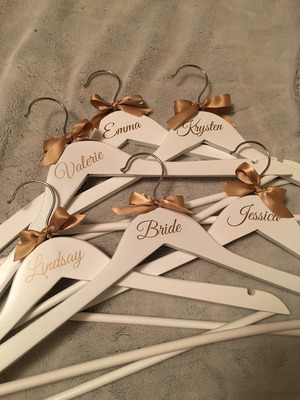 These custom hangers make great bridal party and shower gifts!